Great experiences start with understanding & communication. We believe creating the perfect sign means seeing it through the eyes of those who the sign will represent and affect. We begin by discussing the marketing side of the sign’s construction and go over the your business’s goals and expectations. Then we dig in deeper to find the best ways to use your brand guidelines and colors to promote your brand. From there, we continue looking at the project from a facility standpoint. This affects those who will do the maintance on the sign. They need to know how the sign will be fixed to the building and the electrical component, as well as, that the sign is built with durability and longevity in mind. With this information, we can then sit down with our design staff and bring your company’s vision to life. Our main goal is always to give your sign the best visibility. We pride ourselves on asking the right questions to achieve this goal. While branding guidelines are deeply ingrained into our strategy, we also want to make sure it doesn’t inhibit your visibility. For example, if the building the sign is being mounted on is darker in color, we would suggest a more complimentary color for your sign so it can really stand out. Bolding the letter strokes of your sign also lends itself to improving visibility. Signs are an investment, and we want to ensure you're getting the most out of your money. There are different circumstances for different sign types. Interior and exterior signage have completely separate dynamics and it’s important to discuss that with each client. 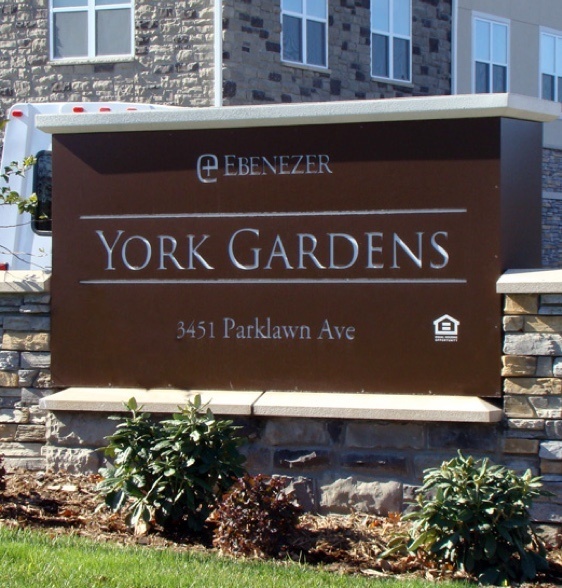 For an exterior sign it’s mostly about the branding and landmarking. We’ll discuss what type of sign you are looking for during our consultation stage. Whether it's a pylon sign or a monument sign with some architecture, we’ll work with you to find what’s right for your company. While exterior signs are more limited by city codes and utilities around the building, interior signs tend to focus more on aesthetic value, portraying a graphic in a professional form. Whether your sign is being displayed in a corporate office or a reception area, an interior sign is typically your business’s first impression when entering a building. We''ll discuss what materials would be the most visually appealing, all while taking the feel of your brand into account The sign consultation process is the first step in creating a sign you can cherish for years to come. Great experiences start with understanding & communication. Talk to an expert.